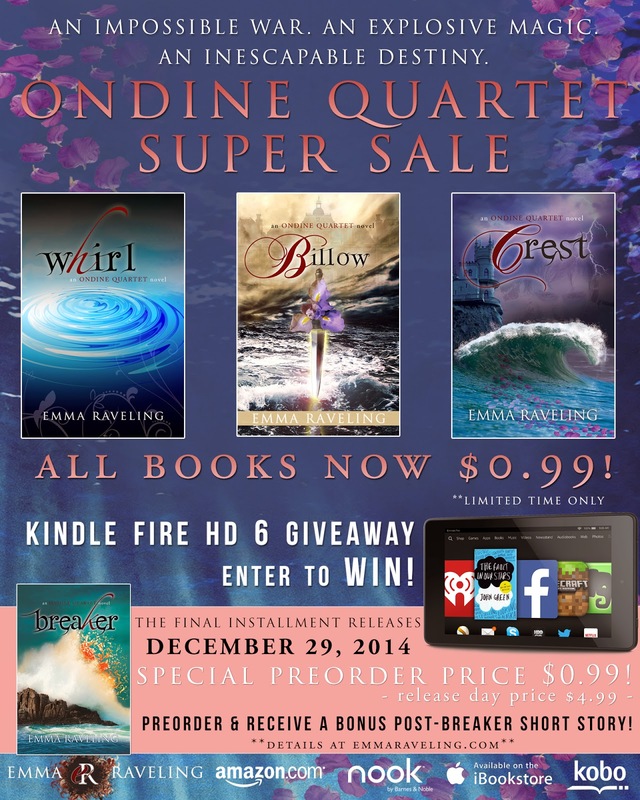 It's the Ondine Quartet super sale! Buy the first three books (Whirl, Billow, Crest) in this thrilling, action-packed, mature young adult urban fantasy series at 0.99 cents each for a limited time! 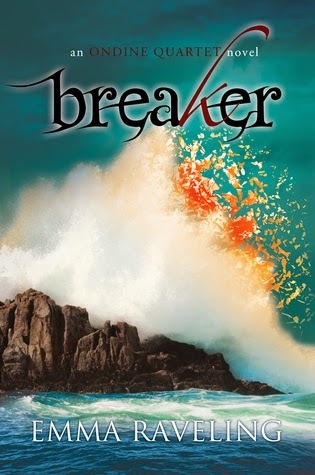 Preorder Breaker and get it at only .99 cents, it'll be $4.99 on release day. That's less than $4 for the full Quartet! You can also enter to win a Kindle Fire HD 6 in the celebration giveaway! She's an ondine, a water elemental gifted with the powerful magic of Empath Virtue and trained to be a fighter. Pursued by Aquidae demons, she and her mother remain Rogue, hiding among humans to avoid becoming casualties in an ancient war. Everything changes when violence erupts on Kendra's seventeenth birthday. A dark stranger appears, promising answers to her mysterious past and stirring unexpected feelings in her fiercely guarded heart. The first in a sweeping urban fantasy series, Whirl is the beginning of a young woman's exhilarating journey for survival, love, and hope as she fights for her place in a world where she doesn't belong. Pre-order Breaker now at the special 0.99 cent pricing and receive a bonus post-Breaker short story during release week! This short story will not be available anywhere else for six months after Breaker's release. Simply pre-order from any retailer and complete this form to receive this exclusive bonus! Emma Raveling writes a wide variety of fiction for teens and adults. She is the author of the young adult urban / contemporary fantasy series, the Ondine Quartet, and Lost Blood, the first installment of the forthcoming young adult urban fantasy series, Chancer. She's also working on the first book in her new Steel Magic series for adults.